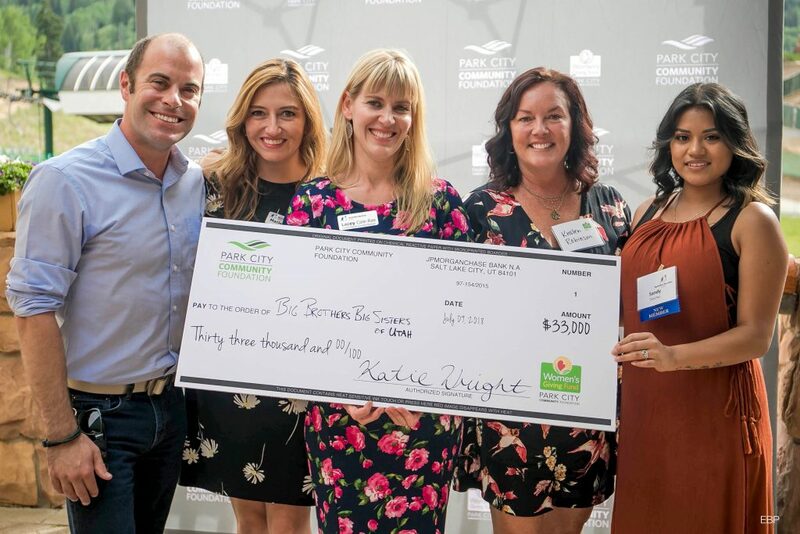 In July 2018, Park City Community Foundation’s Women’s Giving Fund granted Big Brothers Big Sisters of Utah (BBBSU) $33,000 to support their community-based mentoring program in Summit County. The Women’s Giving Fund is a community of over 1,300 philanthropic women who care about endowing the future of Summit County’s women and children. The Women’s Giving Fund is an endowment of over $1.4 million which was started in 2015 with 1,000 members who each gave a $1,000 gift to become lifetime members. Each year, the grants committee selects three finalist organizations for the whole membership to vote on and the winning program is announced at the Women’s Giving Fund celebration in July. With the high-impact grant made to BBBSU, the organization was able to increase their recruitment and mentoring staff position from part-time to full-time, which, in turn, furthers their goal of matching more children with adult mentors in Summit County. In 2017, the total number of kids served in Summit County through both the school and community-based programs was 152, which grew to 167 in 2018. In 2019, they hope to serve 180-185 kids and their goal is to make 20 new community-based matches. At the end of February 2019, members of the Women’s Giving Fund grants committee met with BBBSU staff, board members, and Big-Little matches to learn about their progress since receiving the 2018 grant. The site visit took place in the Ecker Hill Middle School home-ec room for a cooking and dinner activity in partnership with another local nonprofit, EATS Park City. Twenty Bigs and Littles learned to make tortillas, salsa, and guacamole and then shared a meal of tacos. We got to know one of the Big-Little matches better. Nate and Danny have been a match for two and a half years and have done so many activities together that 13-year-old Little, Danny, would never have tried on his own, including ice skating and paddle boarding. 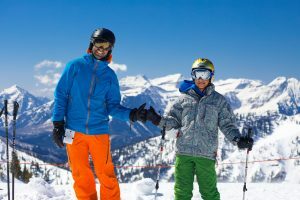 As a reward for getting straight A’s for four weeks, Nate took Danny on their most ambitious endeavor yet: skiing at all 13 ski areas in Utah last winter! Nate and Danny are so appreciative of BBBSU’s support in providing opportunities and activities for community-based mentors. To support more awesome organizations serving women and children in Summit County, consider joining the Women’s Giving Fund with a one-time gift of $1,000, or just $84 each month. Already a member? Become a Wonder Woman by supporting the endowment with a gift of any size.